Inclus dans votre séjour, entre Mars et Octobre, il y a des chaises et des parapluies sur la plage. Ils offrent également des locations de kayak et de paddle board pour 20 $ / h.
Profitez de notre belle maison de vacances sur l'île Okaloosa. Nouvellement rénové dans des tons pastels lumière brillante, télévision à écran plat, et de la mémoire roi matelas en mousse, etc. La plage de sable blanc de sucre et l'eau vert émeraude sont juste à la porte arrière. Regardez les dauphins le matin et le coucher du soleil le soir de la terrasse spacieuse. Il ya un barbecue pour les repas en plein air, et nous avons des chaises de plage, parapluies et des flotteurs pour se amuser sur la plage. Le Pier et Boardwalk sont une promenade facile sur la plage. Si vous souhaitez réserver, veuillez cliquer sur l'onglet "Réserver" dans la liste avec les dates souhaitées (notre calendrier est très actuel), puis cliquez sur l'onglet "Animaux" si un animal vous accompagnera (100 $), et nous allons partir de là! Le dépôt (200 $) est entièrement remboursable compréhension qu'il n'y aura pas de dommage, la nuisance ou l'odeur de fumée, et que le condo sera laissé en bon état. Réservation est réservé et ferme lorsque les deux acompte et les loyers sont reçus, et le propriétaire a envoyé des informations d'arrivée. 25 ans ou plus pour vous inscrire. NON PARTIES. Can't get any closer to the beach. Perfect beach get away. Super cute and just like the pictures. It was awesome to just walk out the slider and be on the beach. We had our pug with us and he thoroughly enjoyed being in the sand. Beach chairs and sand toys were available so when the grandchildren came for a day at the beach we were all set. We had an amazing time and will definitely be looking to book again in the future. Loved our stay just as expected definitely will stay here again!!! Amazing people to deal with no matter the issue it was resolved quickly!! Thank you again Paul and Candy and definitely Marietta!! 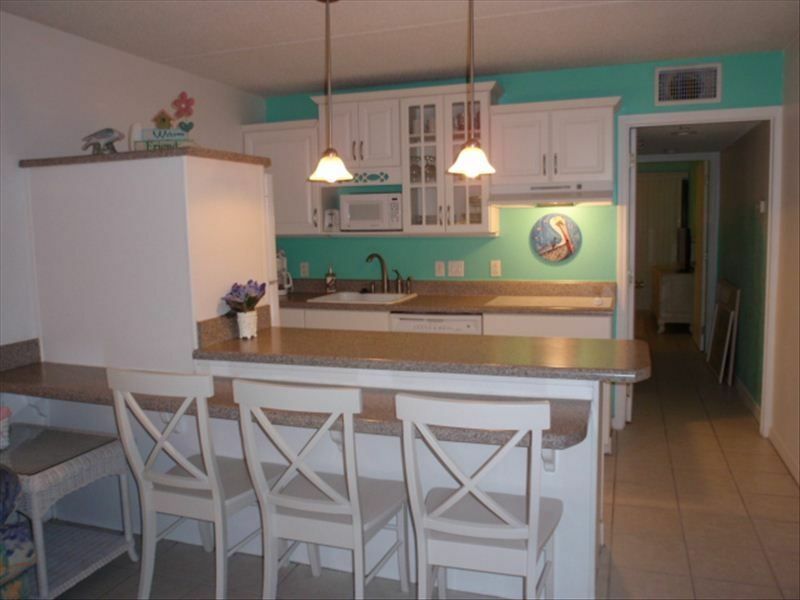 This condo was perfect for just me and had everything nearby from restaurants to grocery stores to shopping down town and in Destin. Loved having a 'private beach' out of my bedroom. Would definitely stay here again! Great location steps from the beach and pet friendly. Property was as described. It is older but it is as close to the water as you can get on the island. The pictures provided are very accurate. Appreciate that we could have our two dogs with us. Enjoyed a quick retreat from the reality of dealing w/hurricane clean up & construction. This little condo was perfect for the 2 of us & our miniature schnauzer. We really enjoyed the immediate beach access right outside the bedroom door. Great location for traveling east or west to activities & dining. We found the condo comfortable & allowed us to truly just rest & relax. Kitchen was well stocked. Will recommend to friends & if back in the area we will defiantly check to see if it’s available. We really enjoyed our vacation stay. The location and proximity to the beach was wonderful. The condo was clean and stocked with all we needed. My only wish is that is was Two bedroom! Deposit is refundable, understanding there will be no smoking, damage or nuisance, approved pets are cleaned up after inside and out, and no more than normal cleaning is necessary.